The Taiwanese smartphone giant, HTC has today launched a new mid-range smartphone called as HTC Desire 728 dual sim in India. 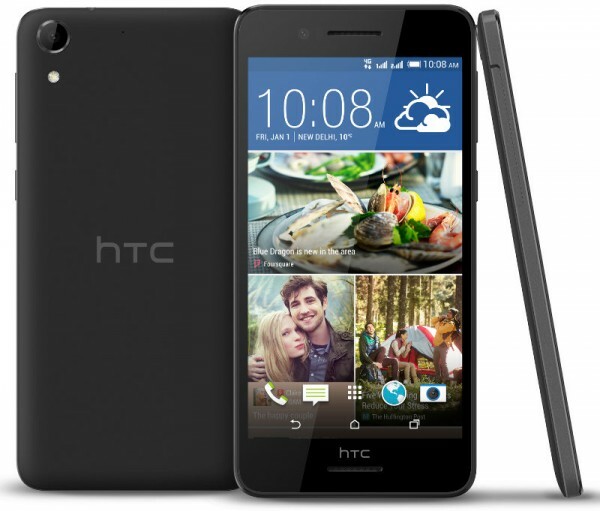 The new smartphone is the upgraded variant of the HTC Desire 728G that launched last year in November. The Desire 728 dual sim costs similar to Desire 728G at Rs. 17,990 and will be available via both online and offline platforms across the country from next week. Coming to its specifications, the Desire 728 features a 5.5-inch HD (1280×720 pixels) IPS display offering a pixel density of 267ppi. Under the hood, it comes equipped with 64-bit MediaTek MT6753 octa-core processor clocked at 1.3GHz paired with Mali-T720 GPU and 2GB of RAM. The smartphone supports dual sim dual standby and runs on Android 5.1 Lollipop based HTC Sense UI out of the box. On the photographic section, the device sports a 13MP rear camera with f/2.2 aperture, autofocus, BSI sensor, LED flash and also supports 1080 video recording at 30fps. On the front, it has a 5MP shooter with BSI sensor to capture stunning selfie images. It includes standard connectivity options like 4G-LTE, Bluetooth 4.1, Wi-Fi, GPS/A-GPS and a microUSB 2.0 port. The smartphone has 16GB of inbuilt storage that is further expandable to 2TB using microSD card slot. Like other HTC devices, the Desire 728 also features HTC BoomSound dual front-facing stereo speakers with Dolby Audio technology for enhanced sound quality. The handset powers a 2800mAh battery that the company claims has the energy to last for an entire day on a single charge. The dimensions of the smartphone measure 157.9 x 77.8 x 7.87 mm weighs around 155 grams and will be available in Purple Myst and White Luxury color variants. To recap, HTC has recently launched an upper mid-range all-metal smartphone in its new One X series called as HTC One X9 in China priced at 2399 Yuan (approx $370). The One X9 features 5.5-inch (1080p) display with Gorilla Glass protection, 64-bit Helio X10 2.2GHz octa-core SoC, 3GB of RAM, 32GB of internal storage, 13MP primary camera with OIS, UltraPixel front snapper and 4G-LTE connectivity. The handset juices 3000mAh battery with Fast Charging support and runs on Android 5.1 Lollipop out of the box.